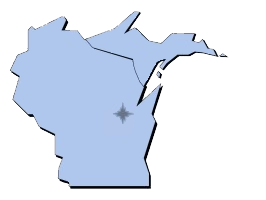 The territory of Mercer Sales, Inc. is traditionally defined as the state of Wisconsin and the Upper Peninsula (U.P.) of Michigan. However, not all manufacturers define the territory in this manner. As a result, Mercer Sales, Inc. may not represent all manufacturers in this whole geographical area. Due to the variety of manufacturers represented over the years, strong relationships with local electrical distribution, industrial end-users, consultants, and OEM accounts have been developed. These relationships continue today.